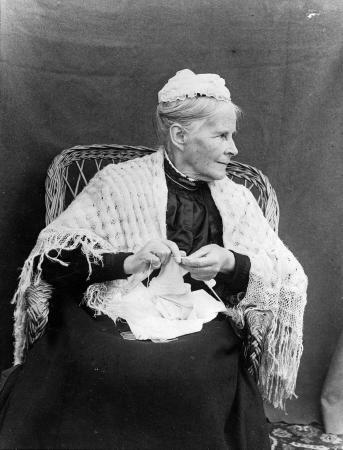 Missionary women were the first knitters in New Zealand. Maria Williams, daughter of missionaries Jane and William Williams, opened a school for Māori girls in Napier in 1877, and one subject she taught was knitting. She is wearing a shawl and cap she would have knitted herself, and is knitting a delicate garment, perhaps something for a baby.